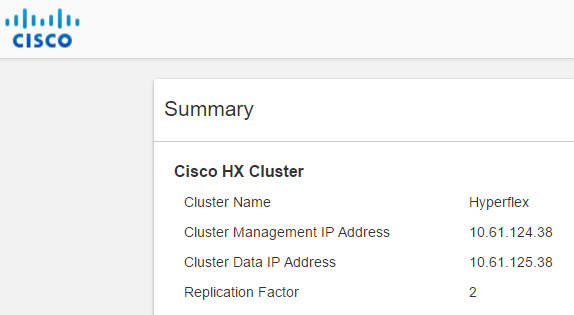 HomeTechnicalData CenterHyperflex Replication Factor 2 or 3 ? More capacity or higher availability. That is the Hyperflex Replication Factor Question. A replication factor (RF) is the number of copies that the Hyperflex system writes the storage block. There are two options : A RF of 2 or a RF of 3. 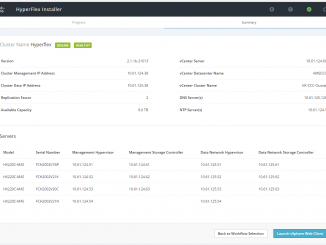 The default setting during installation of the Hyperflex system is 3. All the blocks are written with an algorithm so that none of the blocks are written on the same node or same disk. This eliminates the Single Point of Failure. Once you choose your replication factor during the installation, you can not change it back ! You will have to do a complete re-installation of the system. But why would you choose a RF of 2 or 3 ? Due to the fact that there are more copies of the storage block on the Hyperflex system, the data integrity is higher. You can loose 2 nodes at the same time and the system still runs smoothly. There is a nice post on : Testing Cisco Hyperflex Auto Healing. If you got a development environment or you have a good backupsystem in place, you can think about choosing for the Replication Factor of 2. There are only 2 blocks on the system, so you can have only one node failure simultaneously. There is one big advantage when you choose RF2. Because there are less duplicated blocks on the system, you will have more storage available. The formula can be found at : Cisco Hyperflex Sizing Tool With a RF of 2, you can say that 50% of your raw capacity is usable. 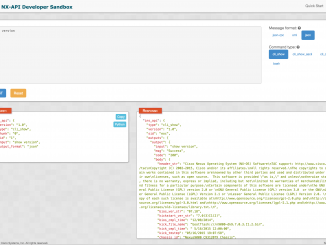 Dev-ops rules the world with Cisco NX-OS ! How about mixing both RF factors in a single cluster? I have installed hyperflex successfully with RF3, but i want to change it to RF2 to get more disk space. Any luck to recreate the storage cluster with RF2? Unfortunally that is not possible. A reinstallation is needed to change from one RF to another. can you please share proper steps to follow for the clean uninstall and re-install. I can do re-installation as the system has not been put in the production yet. Please contact me by email and I can give you the right procedure. what are the minimum no. of nodes required for RF2 and RF3 respectively? The minimum is always 3 nodes. Don’t mind if you’re having RF2 or 3. I prefer to have always a minumum of 4 nodes. Just in case when one is failing. what is the maximum disk failure an HX can handle with RF2 and RF3? As long as the disks are not failing at the same time, the number is a lot. With RF2 1 drive can be failing at the same time and with RF3 its 2. Know that autohealing with SSD drives is very very fast. So everything is up and running within several minutes.